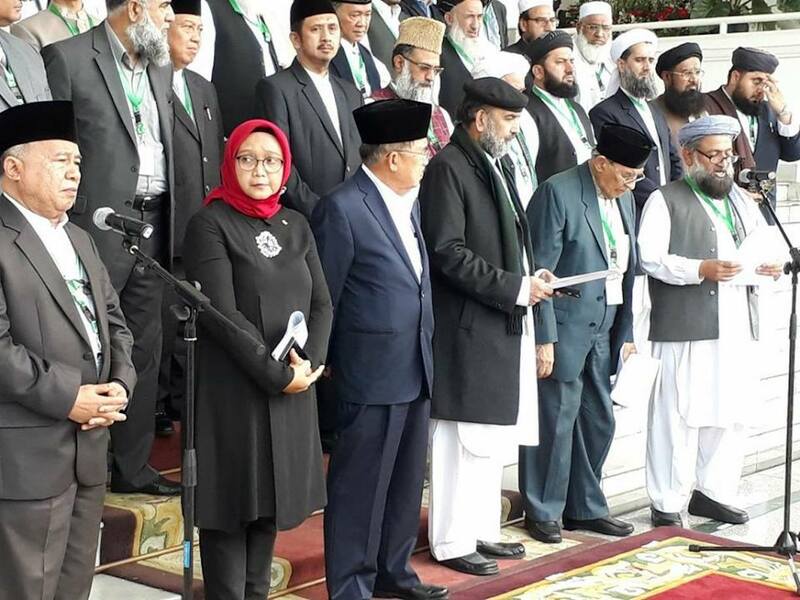 ISLAMABAD -- Ulema from Pakistan and abroad gathered Sunday (April 14) in Islamabad to attend the Paigham-e-Islam conference, vowing to continue their efforts against extremism and violence. 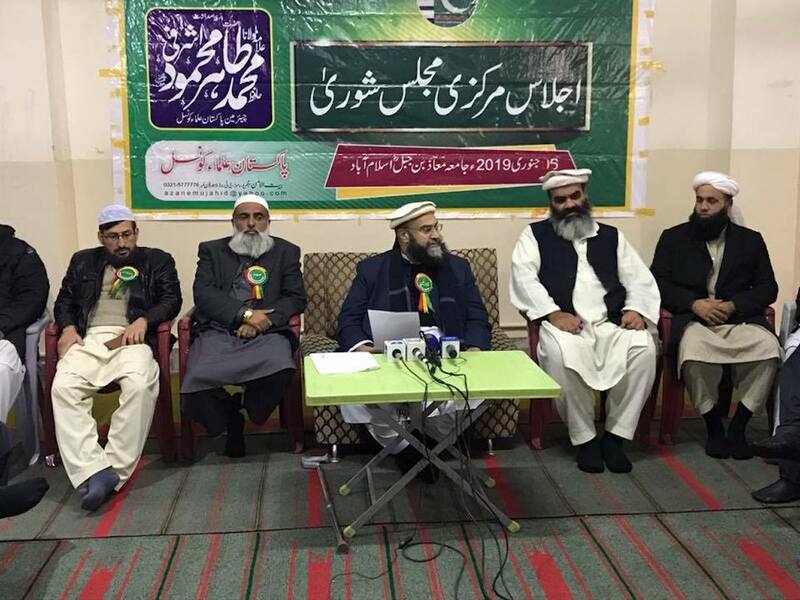 The Pakistan Ulema Council (PUC) organised the event to declare 2019 as the year to end terrorism, extremism and sectarianism. "[We] want to carry on the work to have a durable peace for the prosperity of everyone in the world. Islam is a religion of peace, brotherhood and love," PUC Chairman Hafiz Muhammad Tahir Mehmood Ashrafi told Pakistan Forward. "Participants have agreed to release a statement regarding the unity among religious scholars against all forms of terrorism. Islam is a religion for all of humanity; therefore, terrorism is considered a major sin," he said. Lasting peace is the motive behind holding such conferences, where members of all schools of thought are invited, according to Ashrafi, adding that the goal is peace everywhere in the world, not just Pakistan. The participants shared a consensus that 2019 is the year to end terrorism, said Maulana Hamidul Haq, an attendee at the conference. Doing away with terrorism, extremism and sectarian violence remained at the centre stage of the gathering, he said. 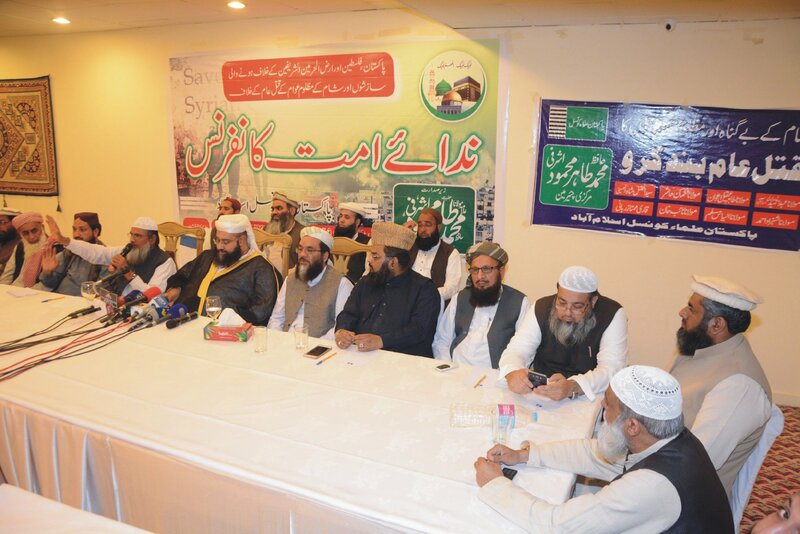 At the meeting, Pakistani religious scholars spoke out against extremism and advocated Islam as a religion of peace. Ignorance of Islamic teachings is resulting in problems for Muslims, Imam-e-Kaaba Sheikh Abdullah Awad Al Juhany, one of the imams of the Grand Mosque in Makkah, told the conference. "The Muslim ummah [community] has to purge its heart of ill intentions [and make efforts] to unite the Muslim world," he said. Islam does not allow the issuance of illegal fatwas or acts of terrorism meant to kill, injure or frighten, Maulana Abdul Shakoor, a PUC member, told Pakistan Forward. "We have denounced extremism," he said. The religious scholars are weary of those who abuse the name of Islam to advance their own agenda and will not allow anyone to send a wrong message to the world about their religion, he said. Participants were unanimous in condemning violence, Maulana Abdul Ghafoor, a Lahore-based scholar, told Pakistan Forward. "We will follow the teachings from the Holy Koran and will try to get rid of the impression that Islam is opposed to any other religion," he said. Their efforts are geared toward creation of a society in which harmony among all religious sects exists, he added. During the conference, Minister of State for Interior Shehryar Afridi informed participants about the government's measures to stop the funding of banned outfits. Nobody will be allowed to carry out acts of violence in the name of Islam, he said. "We are the worst victim of terrorism and want to have peace for the progress of our people," Afridi said, referring to Pakistan. "It is an immense pleasure that about 5,000 religious scholars have gathered here to condemn terrorism. The past two years have been quiet, and we hope that peace will prevail for the years to come," he said. It is also encouraging that most of the speakers have condemned terrorism in their scholarly lectures, which will go a long way to discourage the violence, said Afridi. "We hold in high esteem the security forces for their sacrifices against terrorism and appreciate their brave fight to preserve peace," he added. Pakistan has suffered immensely from terrorism and will support peace efforts for the welfare of its population, Federal Minister for Religious Affairs Noorul Haq Qadri told the conference. "We are continually in touch with religious scholars to thwart efforts by certain elements to use the name of Islam for killing members of other faiths," he said. Pakistan has no place for violence on a sectarian basis because Islam has a universal message of peace, he added. The government needs to keep ulema advised on pro-peace efforts, Maulana Azad Shah, an Islamabad-based scholar, told Pakistan Forward. Pakistan's recent efforts against money laundering and terror financing are praiseworthy and the religious scholars should spread awareness about the benefits of such steps, he said. The role of religious leaders is very important in removing misconceptions about Islam, Khadim Hussain, a Peshawar-based security analyst, told Pakistan Forward. The public believes in religious preachers and take their sermons very seriously, he said. "We should use ulema to counter the propaganda that Islam allows killing. Islam has a wider message of peace and doesn’t support any terrorism," Hussain said. In the last two years, Pakistani religious leaders have played a vital role in the reduction of extremism, he added. The Taliban urged a boycott of the conference, but many clerics and scholars ignored the militants and issued a declaration saying that 'terrorism contravenes Islamic law'. The Pakistan Ulema Council (PUC) is raising the alarm against Iran's 'espionage and terror activities' in the region, particularly in regard to the development of Chabahar port.